An international team of researchers will soon begin analyzing cosmic particles. They were collected inside Egypt's Bent Pyramid. The team will search for clues as to how the pyramid was built. The scientists hope to learn more about the 4,600-year-old structure. Mehdi Tayoubi is president of the Heritage Innovation Preservation Institute. He said that plates planted inside the pyramid in January have collected data on radiographic particles. They are known as muons. They rain down from the earth's atmosphere. The particles pass through empty spaces. But they can be absorbed or deflected by harder surfaces. By studying particle accumulations, scientists may learn more about the construction of the pyramid. It was built by the Pharaoh Snefru. "For the construction of the pyramids, there is no single theory that is 100 percent proven or checked. They are all theories and hypotheses," said Hany Helal. He is the institute's vice president. "We would like to confirm or change or upgrade or modify the hypotheses that we have on how the pyramids were constructed," he said. The Bent Pyramid is in Dahshur. That is just outside Cairo. The Bent Pyramid is distinguished by the bent slope of its sides. It is believed to have been ancient Egypt's first attempt to build a smooth-sided pyramid. 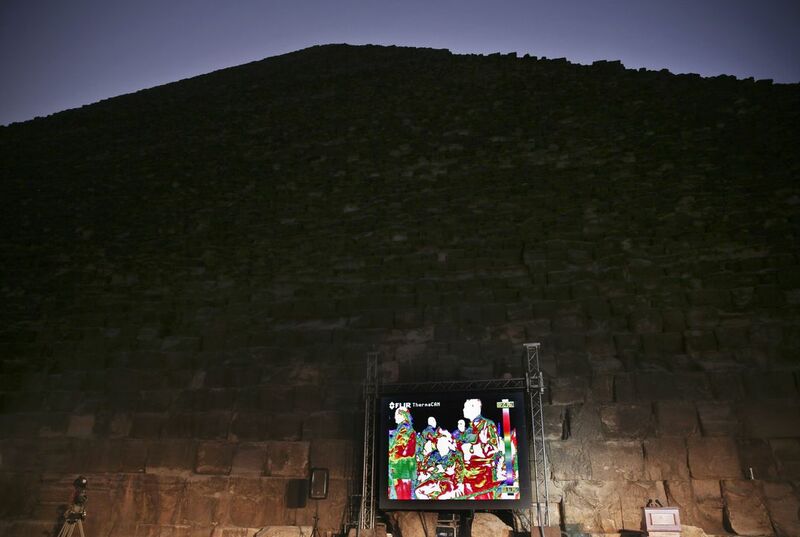 The Scan Pyramids project announced in November thermal anomalies in the 4,500-year-old Khufu Pyramid. It is in Giza. The project is coupling thermal technology with muons analysis. The goal of the project is to try to unlock secrets to the construction of several ancient Egyptian pyramids. Tayoubi said the group plans to start preparations for muons testing in a month in Khufu. 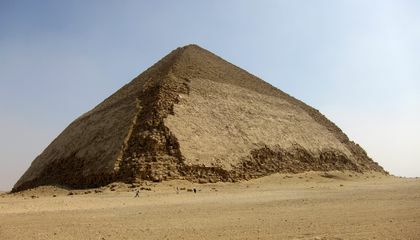 It is the largest of the three Giza pyramids. It is known internationally as Cheops. "Even if we find one square meter void somewhere, it will bring new questions and hypotheses. And maybe it will help solve the definitive questions," said Tayoubi. Why are scientists interested in old particles? I think that it would be an interesting sight to see this bent pyramid and I wonder why does it bend and now I got the answer. When I first saw the bent pyramid picture I thought that some professional builders built the bent pyramid which if it did it would have took 100 years or longer. I also wonder how do they even make pyramids because it is really big and they say that there are a lot of traps and I think that some of the workers died while building pyramids. Scientists are interested in old particles because they can be worth a lot and they could be from the ancient Egypt. IT could help to find the past. mummy ? CTQ: Scientists are interested in old particles because it could open up new ideas and new possibilities to figuring out how they built these pyramids, back 4,600 years ago. The scientists are interested in old particles because to this day, as of now, no one is absolutely positive on how the pyramids were built, and these particles could tell us just that. Scientists are interested in old particles because they can reveal clues about the pyramids and how they were constructed. Scientists are interested in old particles because they can be worth a lot and they could be from ancient Egypt. Scientists are interested in old particles because they can gives clue on the life of ancient Egypt.